Hi, my name is McCoy. 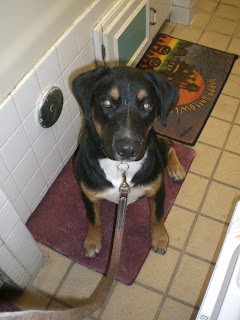 I am 2 year old male mostly black Shepherd mix. 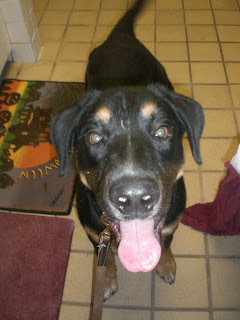 Susan thinks I am mixed with Rottweiler. 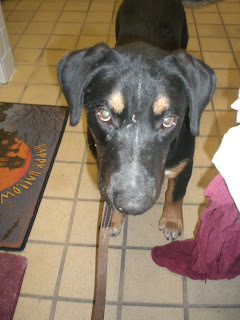 I was owner surrendered on November 29. 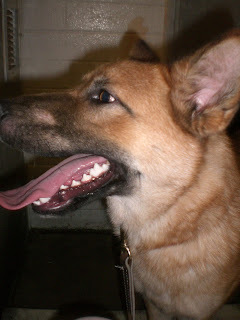 My kennel card says I am dog aggressive. Right now I live in C212. Susan thinks I am a little depressed. 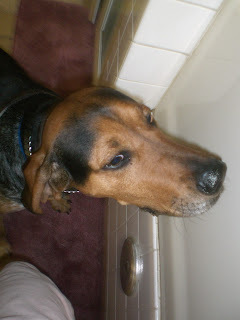 She noticed my skin seems to be shedding and flaking and it is showing up in my fur. 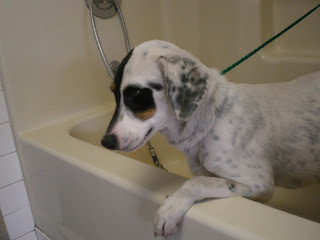 She wanted to wash me tonight but couldn't. Since I wouldn't hold up my head and look at Susan she had a hard time getting photos of me. She had to hold up my head with her hand just so she could get one photo of my face. 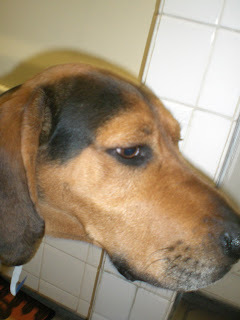 Maybe if I had a good home with a firm loving hand I would be happy again. 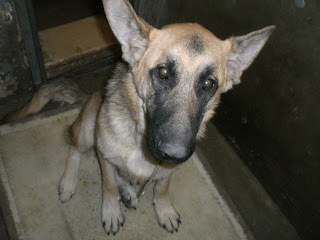 Please come down to the Carson shelter and consider adopting a dog that needs a loving home! Hi! 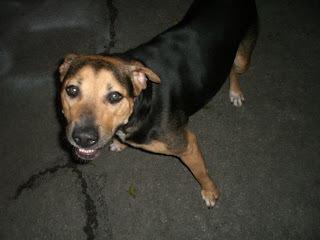 Susan the dog lady couldn't find ANYTHING out about me because my cage was missing a kennel card. 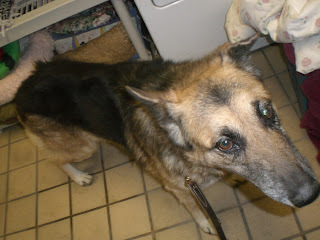 The staff was busy putting out blankets and there was nobody at the computer that she could get to print out a kennel card. Right now I live in C341. 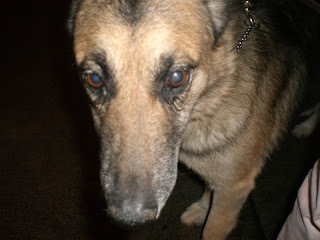 Susan thinks I am possibly a senior dog. I am just slower and have that way about me. 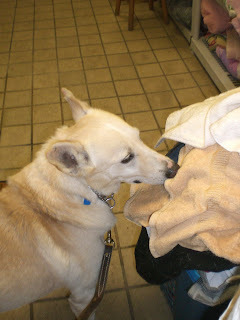 Even though I'm senior, I enjoyed sniffing the dirty laundry as much as the other dogs. Susan thinks I have a beautiful face, which you can see here. My name is Triton. 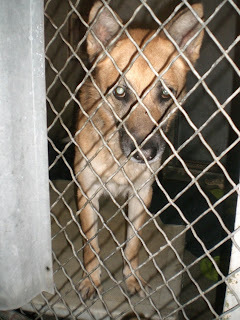 I am a 2 year old male German Shepherd mix. 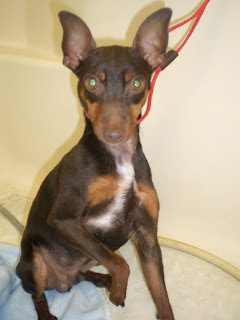 I was owner surrendered on November 25. Right now I live in C224. 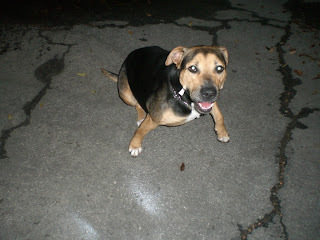 Susan took me out tonight, and after an initial adjustement, I walked fairly well on a leash. 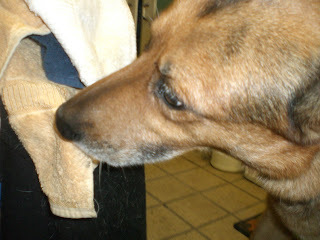 I got to visit the laundry room and sniff dirty blankets too! I got to walk around in the back with Susan, and I thought the roosters were pretty cool! You can see me checking them out here. Did you know you can adopt a dog here for just $38? 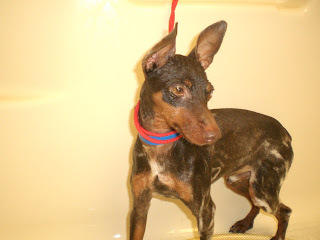 That includes spaying or neutering, shots, and microchip. Licensing will be extra. We are great deals! Hi! My name is Kerry. 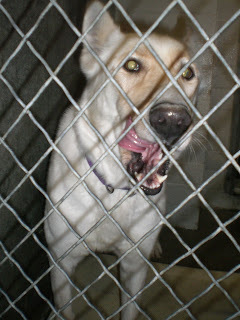 I am a one year old male white German Shepherd mix. 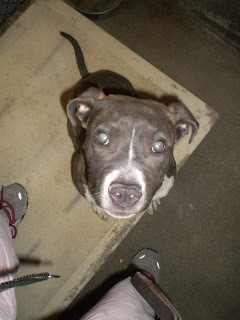 I came in December 3 as a stray. 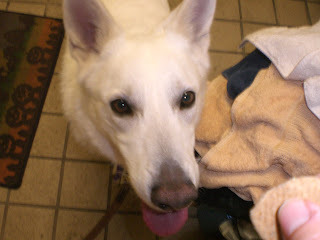 Right now I live in C227, next to another pure white dog. I am quite shy. When Susan came in to my cage, I would come forward to take treats from her hand, but then back away to eat them! 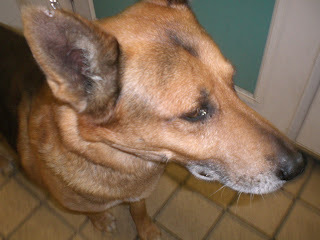 Eventually I came to her, and she put a collar around my neck and took me out. 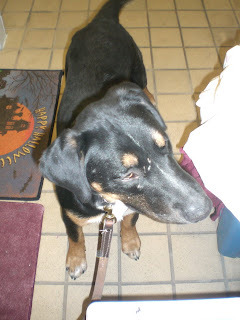 I wasn't real used to walking with a training collar on a leash, but Susan took me around a few times, and I settled down. 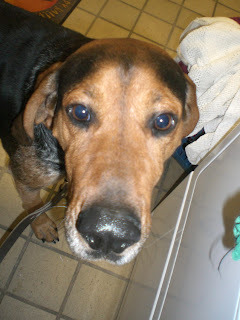 She let me sniff the dirty towels in the laundry room, which was a treat! A lady stopped Susan to ask for help looking for her lost dog. 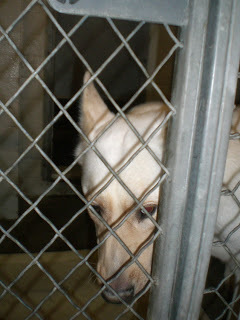 Susan put me back in my kennel so she could help the lady, but forgot she left one of my doors open. I got out! I got to explore a little bit. 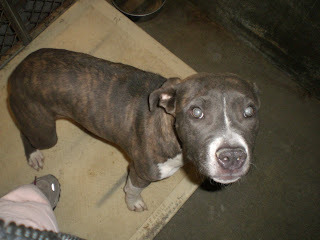 Susan followed me slowly, then offered me some treats, and she was able to get me back in to my kennel. It was a fun night! Hi, my name is Honky. 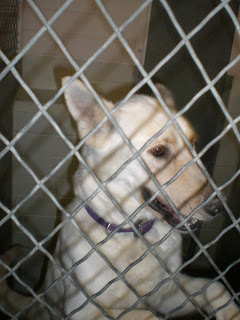 I am a 3 year old male white German Shepherd. I came in on November 29. 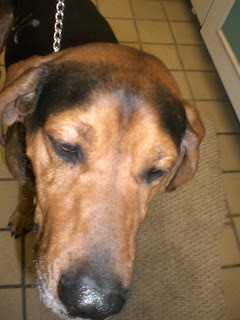 My kennel card says "hold for owner" but Susan the dog lady does not know why I am still here if I am being held. Right now I live in C309. Susan is researching the shepherds and she took me out tonight. 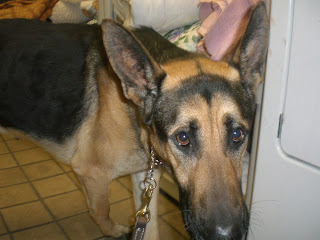 She always takes us dogs back into the laundry room and lets us sniff the dirty towels and blankets, which is cool! I was sorry Susan and I didn't get to walk around more together. 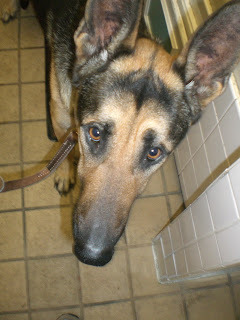 There are lots of great dogs down here at the shelter. Why don't you come down and say howdy? Hi! My name is Astro. 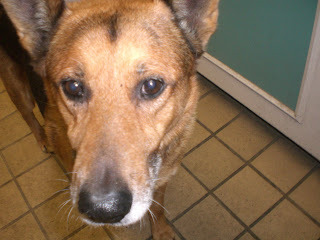 I am a 6 year old Shepherd mix. 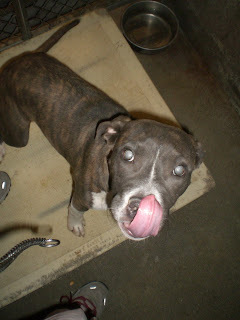 I came in as a stray on November 15. Right now I live in C311. Susan and I haven't gotten a chance to get acquainted yet. 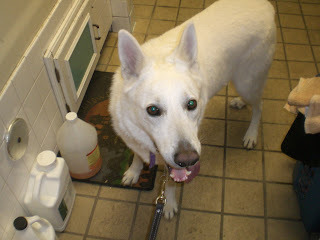 She went around looking at all the German Shepherds and shepherdy mixes she could find to help a friend out. She thought I looked pretty cute so she took my photo. 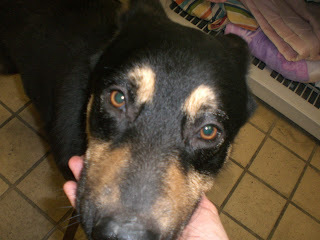 I have a black chow mix kennel mate. We get bored being in our cages all day long. Won't you come down and say hello? Hi, my name is Jilly! 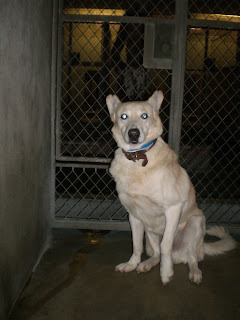 I am a 1 year old blonde German Shepherd mix, brought in on November 5 as a stray. Right now I live in C221. Susan was busy doing tons of laundry in the back, so it was kind of dark by the time she took me out. We went in the back play area, and she let me chase some squeaky toys. 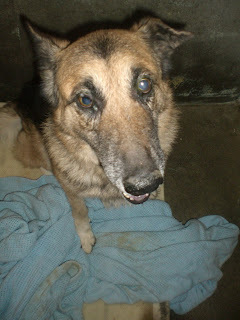 She walked me around the shelter a few times, and I thought the loose roosters were pretty cool! I wanted to chase them, but Susan wouldn't let me. 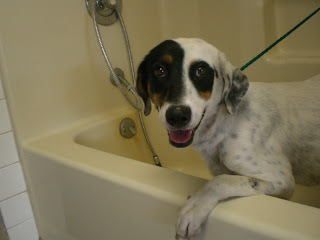 Finally, she took me in to the laundry room. I just plopped down on the dog bed Tricia was on, and I stayed there while Susan started another load of laundry. 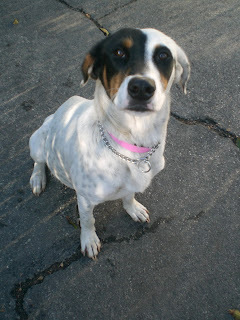 Susan says I am a beautiful, friendly girl. 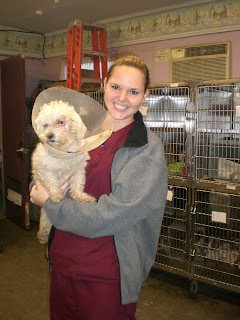 Unfortunately, when Susan came in to my cage, I didn't mind my doggy manners very well. I jump a lot, and I probably scratched Susan a little. 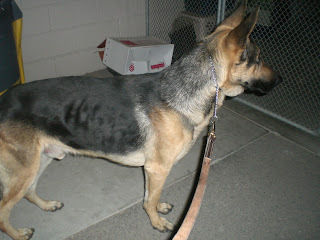 She just turned her back to me and ignored me until I settled down a bit, so she could slip on a training collar. That's what Susan always does when a dog greets her like that. 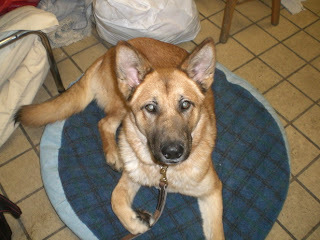 I've been here too long and I would love to have a new home with somebody who will train me to greet people politely. Please come down and say hi! 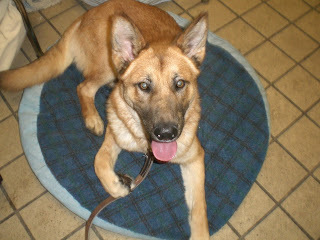 There are lots of great dogs here and we'd love to be in a home for Christmas. 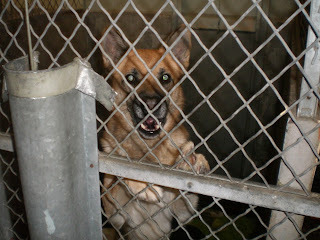 Won't you come down and say hi to us, or donate to the Los Angeles County shelters? 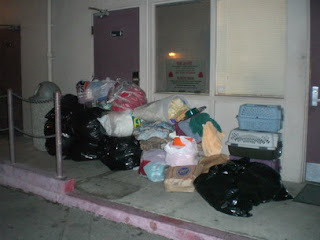 This blog would never want to tell anybody not to donate something to the Carson shelter. But if you still want to donate blankets, please contact the Carson shelter and ask to speak to Officer Tammy Howlett first, or go down there in person and talk to her. She is the officer who has been hauling the donations to the back every night. She's putting blankets away in hidden spots that most volunteers and shelter workers aren't even aware of. This scene is becoming a nightly occurrence. 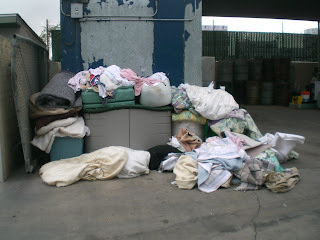 This is behind the office on Thursday, December 5, where another load of blankets has been dumped. According to Tammy, a moving truck came earlier that day and left a load of used moving pads. This is in the back, just outside the laundry room. 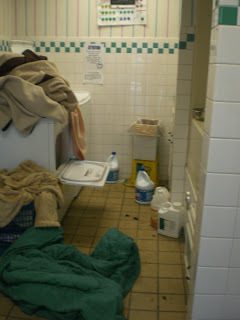 Actually, it doesn't look much worse than it usually does, but normally the laundry room is under control. 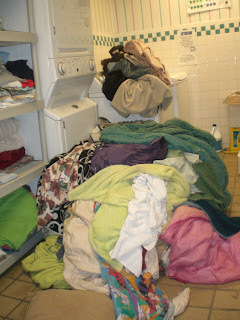 This is what the laundry room looked like when I started duty on Thursday night. That's a fairly new washer and dryer. Unfortunately, it doesn't operate as fast as we'd like it to. Here is a wider view of the laundry room. 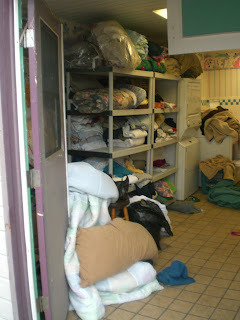 The door is holding back a tsunami of blankets that have been piled on to the grooming tables. 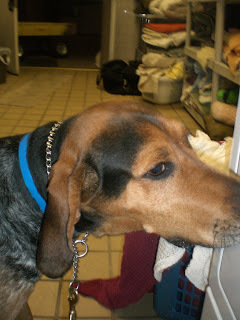 If the blanket rack looks like it's getting empty, that's because the blankets out in the kennels haven't been picked up yet. And these photos don't show where Officer Howlett and others have been stashing extra blankets. The laundry room is the only place with blankets readily accessible to me as a volunteer. This is the laundry pile now after I spent the evening picking up blankets in buildings 1 and 3. Putting out blankets and quilts in each and every cage usually doesn't work very well because bored dogs love to shred them. That stuffing and shredded fabric often ends up in the drains and risks clogging them, which isn't fun. By the way, you'll notice a second washer and dryer stack, next to the blanket rack. That machine has suffered from overwork. And there is another washer-dryer set in the back which I did not photograph, also dead from overwork. 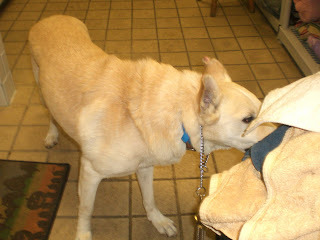 That's another reason why putting out blankets and quilts in each and every kennel doesn't always work. Certainly, efforts are made to put out blankets and quilts for puppies, pregnant/nursing dogs, and fragile, sick and elderly dogs. 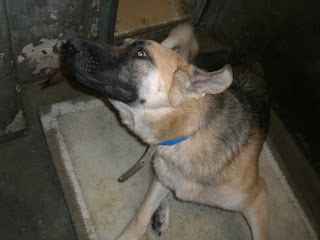 But each kennel contains an air vent, and warm air gets blown through the vents every night. 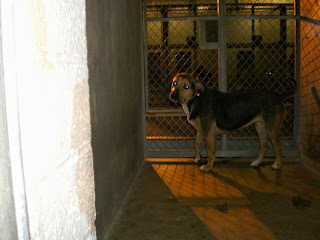 In addition, the dog building doors are kept closed in the evenings to help keep the warm air in. Because of one misleading news story about a dog freezing to death, I am wading through all this trying to help get this under control when I would like to be showing animals to the public or doing other things for the dogs. 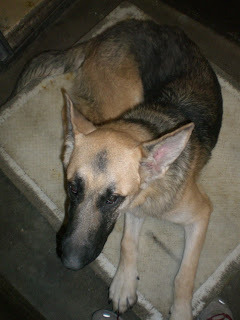 We need this to be under control so we can readily access grooming supplies, toys, and other things we keep back here. 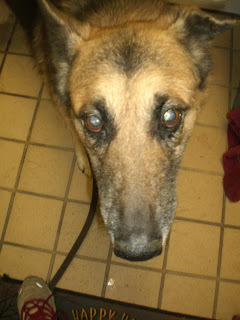 I won't disagree with anybody who says these dogs need more systematic and regular medical care. 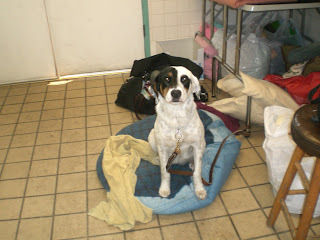 But I don't think putting a blanket in every kennel is necessarily the answer.